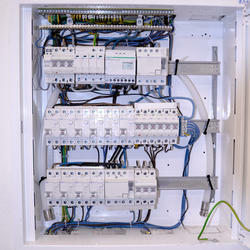 Our product range includes a wide range of electrical panel fire suppression system. Small electrical spaces such as electrical cabinets, fuse boxes, audio-video equipment or racks can be found in every household, office or industrial building. Each of these small spaces poses a threat to the surrounding equipment and the building itself due to increased risk of fire. Vehicle fires are an issue all over the world and the number of such fires increases each year. Majority of vehicle fires have its source in the engine compartment. The most dangerous sources of fires in the engine compartments include electrical arcing, overloaded wiring, hot surfaces, mechanical sparks, electrical sources.